A 6-year-old orphaned elephant is taking his very first steps back into the wild. 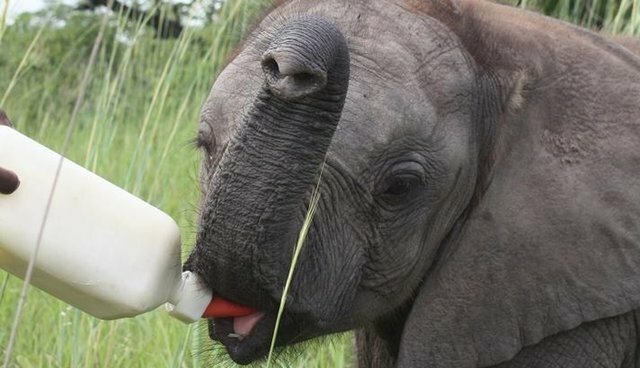 Tafika was rescued by the Elephant Orphanage Project in Zambia when he was just 9 months old, after being separated from his herd in an area called South Luangwa. "His herd rampaged a village ... and in the commotion, Tafika fell into a pit and was abandoned as the herd fled," explains Ulrica Hansson, PR manager for Game Rangers International, an anti-poaching organization that oversees EOP. 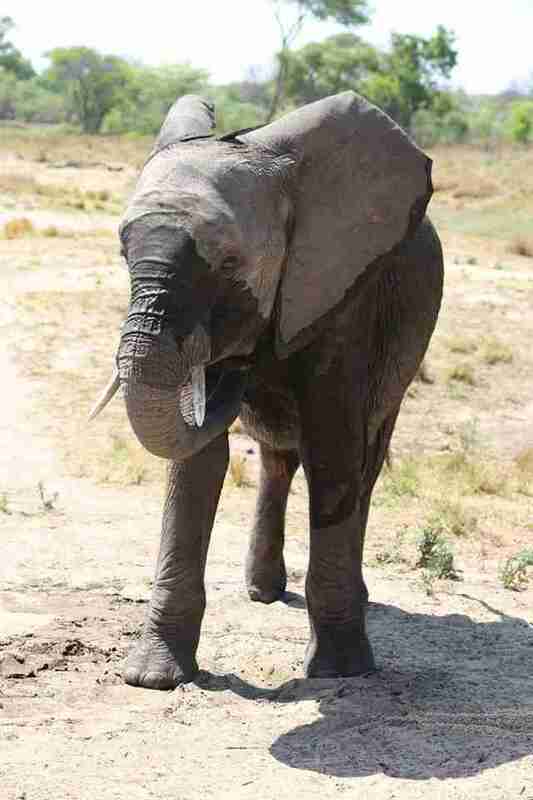 Sadly, local villagers started stoning the baby elephant, says Hansson, until EOP rescuers intervened. They managed to wrap a sling underneath his body and lift him out of the pit. 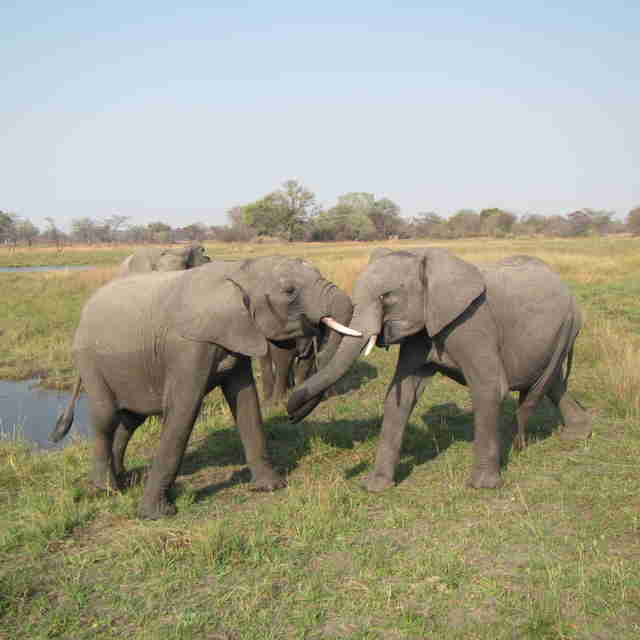 Eventually, Tafika, which means "to have arrived" in the local language Nyanja, was flown to Kafue National Park, where EOP has a "release site" - the Kafue Release Facility (KRF) where the elephants, bit by bit, are released back into the wild. How are elephants released back into the wild? There are 10 orphans being managed at KRF according to Hansson, broken into two groups: The Orphan Herd and the Release Herd. 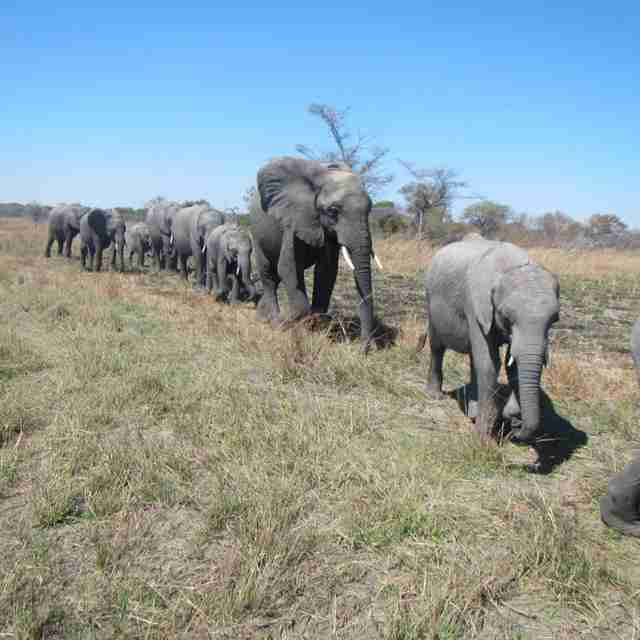 The Orphan Herd walks inside Kafue National Park every day escorted by their keepers and a ranger. In the evening, they come back for protection against predators, like lions. The Release Herd is more independent, explains Hansson: "The main distinction is that Release Elephants may spend their nights outside the bomas (protective enclosure) and so are essentially independent of the EOP: they don't get food, shelter or security - and thus becoming [again] more like wild elephants," explains Hansson. "It's therefore important that they are big enough to defend themselves against lions, or that they are in a group that will provide them the defense that they need." There is the other threat: poaching. From 2010-2012, 100,000 elephants were slaughtered in Africa. Some of those who survived are the orphans that EOP has cared for. 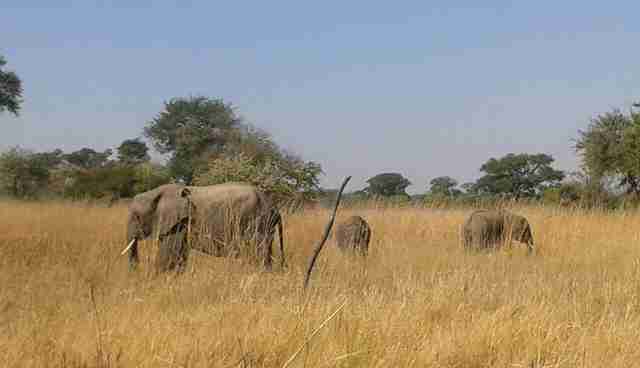 The current Release Herd is composed of four elephants: Chodoba, 10; Chamilandu, 9; Batoka, 7; and Kafue, 6. Chodoba is leader and because "he led the way, it seems easier for the other maturing elephants have [have followed] him." And that's Tafika's latest milestone: Just a few days ago, on his own, he decided to leave his friends in the Orphan Herd and start hanging out with the big boys in the Release Herd. "This is a great step for him on his way to live an independent life in the wild," Hansson notes. 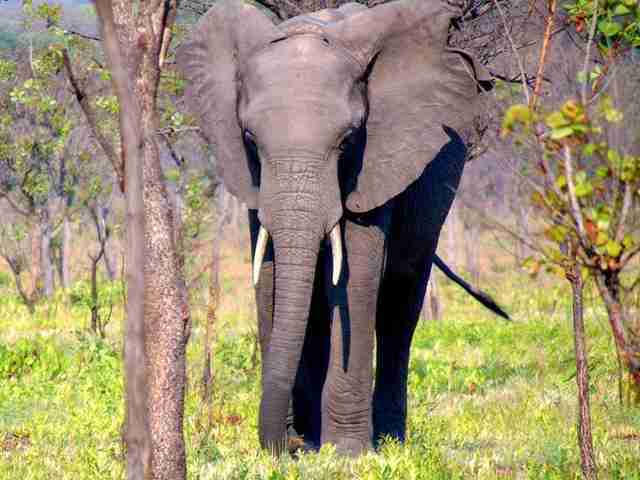 All the elephants at KRF have mingled with or encountered the ever-wild elephants inside Kafue National Park. Sometimes it happens when the orphans are on their daily walks, but it mostly happens with the Release Herd "because they are free roaming at night, which is when the wild elephants are moving more often." 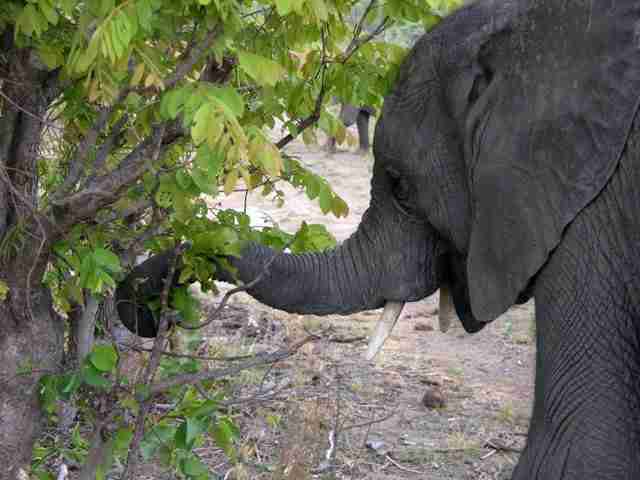 Wild elephant interactions are critical for the Release Herd elephants. They'll "further their social skills and it will encourage normal behaviors as well as learning local knowledge that elephants would usually pass down through generations," says Hansson. 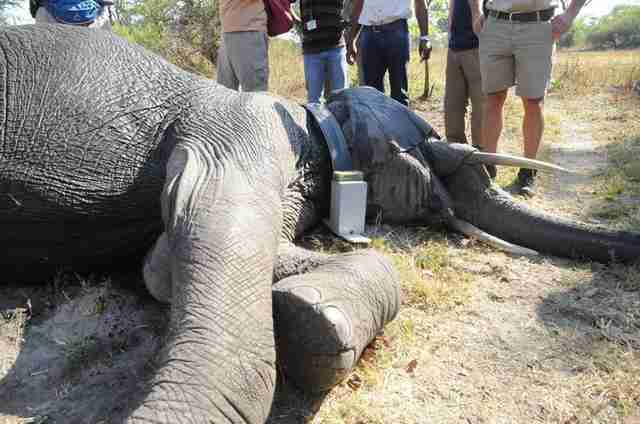 In order to understand how the process is unfolding, EOP has collared all of its Release Herd elephants and Tafika now has a VHF collar which will be updated soon. Kafue National Park is 22,400 square kilometers but the Release Herd is likely not to move too far from "camp" as it is still the epicenter of their home range, says Hansson. But, as the elephants get older they will likely increase their territory. "We understand that whilst the elephants will spend more and more time away from the facility, it is likely that they will always come back to visit from time to time," says Hansson. Being wild, she adds, doesn't mean they will forget where they came from. "It is likely they will always come back to visit - to interact with either the younger orphans or the keepers who raised them and helped them recover from their traumatic start in life." 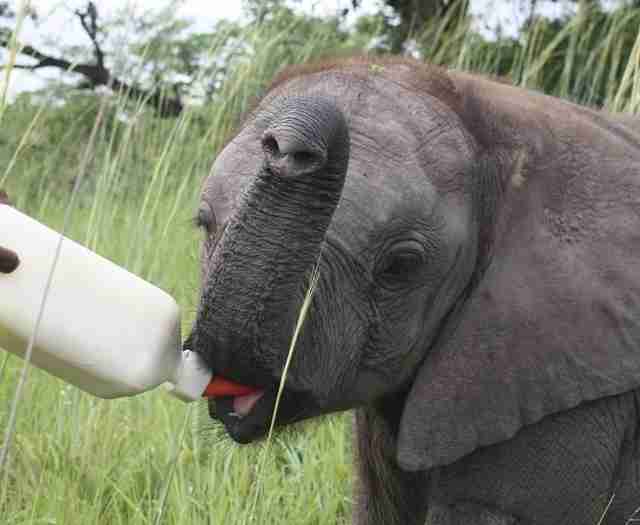 To help fund the Elephant Orphanage Project and adopt an elephant, go here. To support and read about Game Rangers International and its effort to combat poaching, go here.